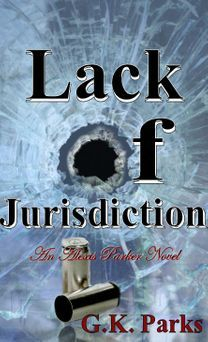 Alexis Parker prides herself on being a competent investigator, but when she's fired from her current job as a security consultant at a prestigious hotel, she never expects to be rehired after a body is found hanging on the premises. Forced to face her failures, Alex is pulled out of the emotional limbo when a single homicide turns into a financial conspiracy of million dollar proportions. With the stakes this high, it's difficult to trust anyone, including her own client and the authorities, since most people can be bought for the right price. After convincing Mark Jablonsky, her former mentor, to spend his vacation assisting on the investigation, the case becomes even more convoluted. And no matter how plausible their theories and suspects are, the one thing they continue to lack is evidence. As the FBI and PD wage a battle over jurisdiction that further complicates matters, Alex is forced to act in order to stop the situation from escalating further. And this time, her irreverent attitude and no holds barred tactics might lead to incarceration or worse. But even that won't stop her from following her federal agent instincts, even if she no longer possesses a badge. Unfortunately for her, the truth reveals itself just a little too late.